This building, in Parkway, between John Lewis and the junction with Parkway, now forms part of the local NHS Trust, but for many years it was the Welwyn Theatre and later the Embassy Cinema. 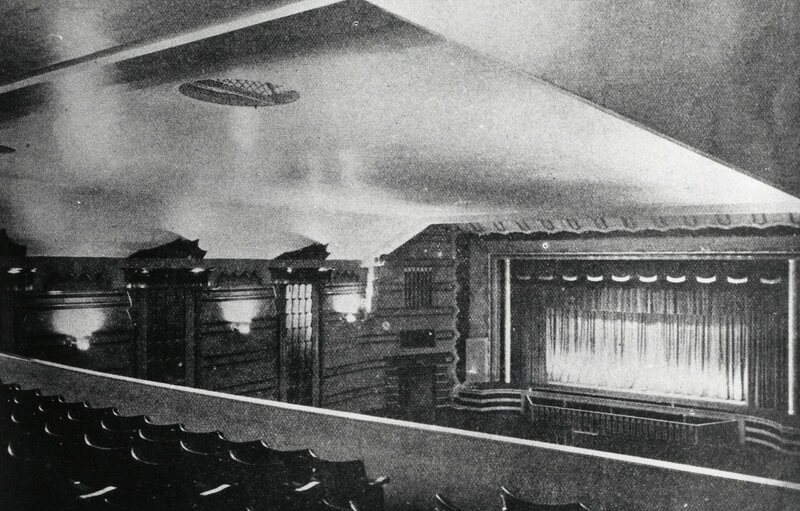 It opened for business in June 1928 and had seating for around 1,200. 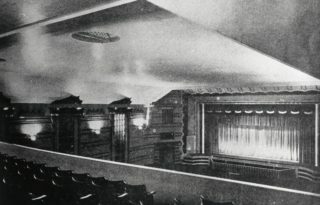 Although it was fully equipped for plays it was used rarely for those purposes and was mainly a cinema, occasionally hired to local drama groups. 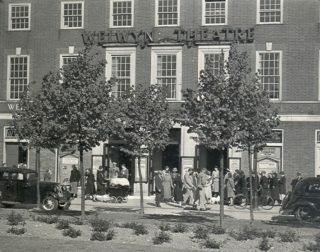 The first ‘talkie’ was shown in February 1931 when “All Quiet On The Western Front” packed the theatre for three weeks. 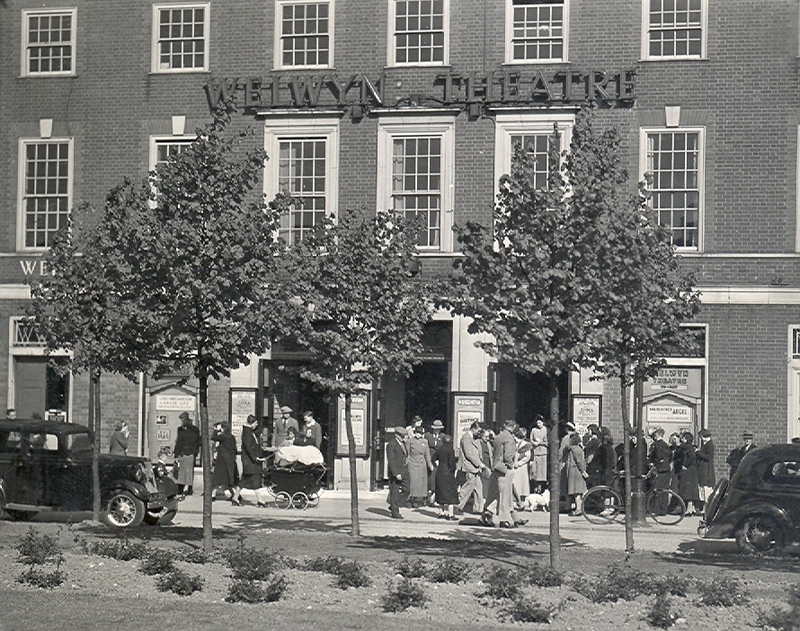 A fire in October 1962 seriously damaged the stage, and in the following year it changed its name to the Embassy, after newcomers to the town complained the building was not in Welwyn and not primarily a theatre. 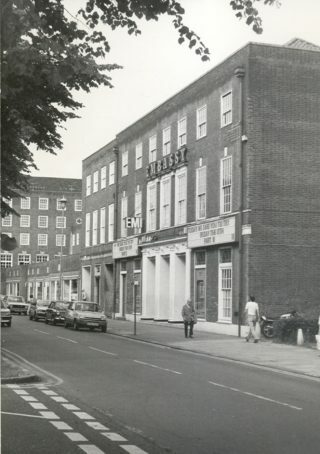 In 1967 the cinema was refurbished, the seats were changed and the capacity reduced to 985, but like so many cinemas up and down the country, the Embassy found it harder and harder to run at a profit and though for a while bingo sessions were held, it finally closed its doors in November 1983. A commemorate plaque outside the building marks its significance. Did you used to go to the Embassy regularly? What do you remember about the building? What films did you see there. Share your memories by logging on today. I can remember my Grandad taking my brother and I to the Embassy to see Walt Disney’s “The Jungle Book” when it first came out in 1967. The queue went all along Parkway and down Howardsgate!! My wife and I met in the Welwyn Theatre on Easter Monday the 7th April 1958 (60 year ago). The feature film was “Happy is the Bride”. We were married at the Registry Office then situated in the Council Offices corner of The Campus and Bridge Road. It is a happy marriage, our two children were both born in WGC, one at The Peartree Maternity Hospital and the other at The Queen Elizabeth 2. Now living in Australia with 2 children, 7 Grand Children and 6 Great Grand Children. The Bride was Happy! 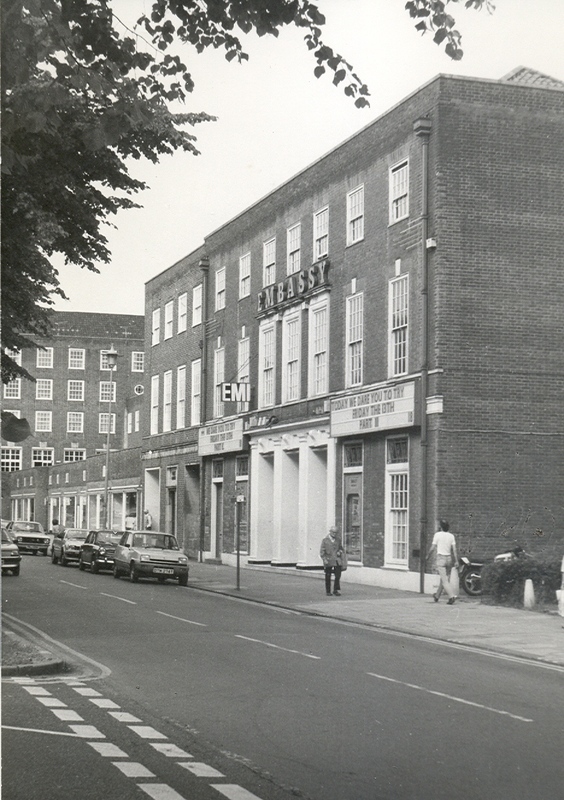 After we came back to Welwyn Garden in 1976, we all used to go to the Welwyn Theatre and watch some productions. Our Hillman Imperial probably got used to the routine; every Saturday at 6:30 prompt we started the engine. The kids used to buy a bucket of popcorn to share, and went off to see a film together while me & my wife went to see another film together. My granddad was Harry Rogers he was a projectionist in the very early days where he would meet his wife Beatrice Wilding who worked there as a usher. Harry also helped do many electrical work for the town inlcuding the wiring for the British home stores now John Lewis. I remember going to see the Exorcist age 16 but I looked 12…..how I got in I will never know. Going on my first date to see Stardust, only to find out my date hated blood…had to leave never saw the film!!! Seeing Gone With The Wind in the 80’s with my mum and a couple of friends laughing all the way through….being shushed. Happy days !!! its lovely seeing old pictures, my dad was the manager and after he died my mum took over till she retired in 1983. my childhood was spent in the cinema, i love it when the local amateur dramatics society took it over for a week. i showed customers to there seats. The complete cinema building was demolished. I took many pictures at the time showing the whole sorry process. Just before the fire started at the cinema, I had just been performing on the stage with The Welwyn Thalians. This was the first night of our presentation of Carousel The men were using the dressing room under the stage where our costumes were kept for the show. Most of the costumes were destroyed in the blaze but my costume which was a clown costume escaped with minor burns. This fire was a major disaster for the Thalians but we managed to do several performances at my school, Heronswood secondary modern later in the same week. I used to go to Saturday Morning Cinema at the Embassy in 1971-73. I think it cost about 1 or 2 Newpence. The cinema was completely demolished but the front of the building that replaces it has been designed to look almost identical. I used to work as a relief projectionist there in 1980. I always regret not having taken my camera with me one day. They were still using two Westar projectors with Peerless carbon arc lamps at the time, and probably till the end. The cinema was not demolished in 1984, but is now offices used by the West Herts and North and East Herts PCT.